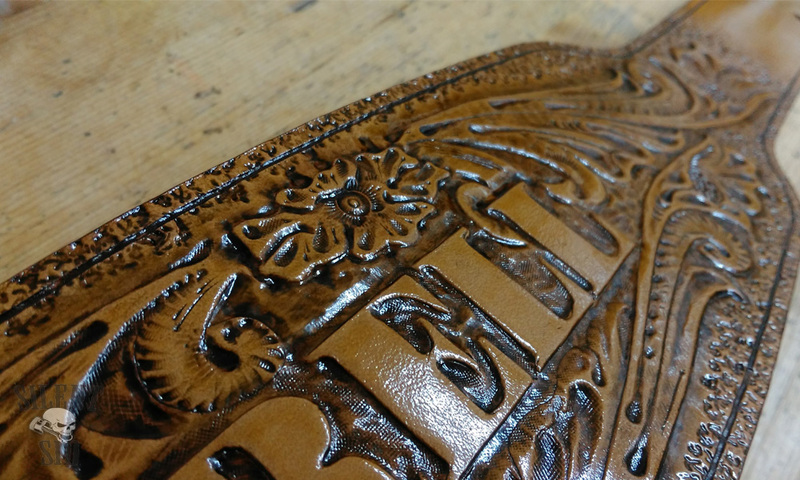 Sheridan design leather carving is a real 'Top Shelf' item. 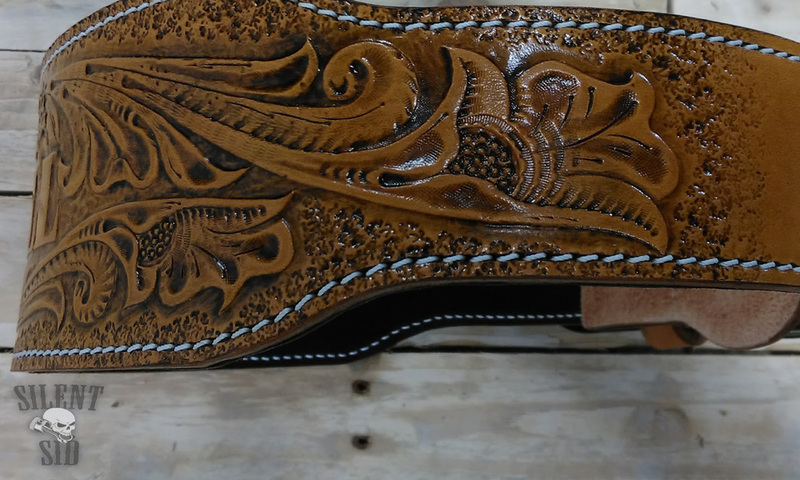 Nothing screams handcrafted like a Sheridan pattern on display. 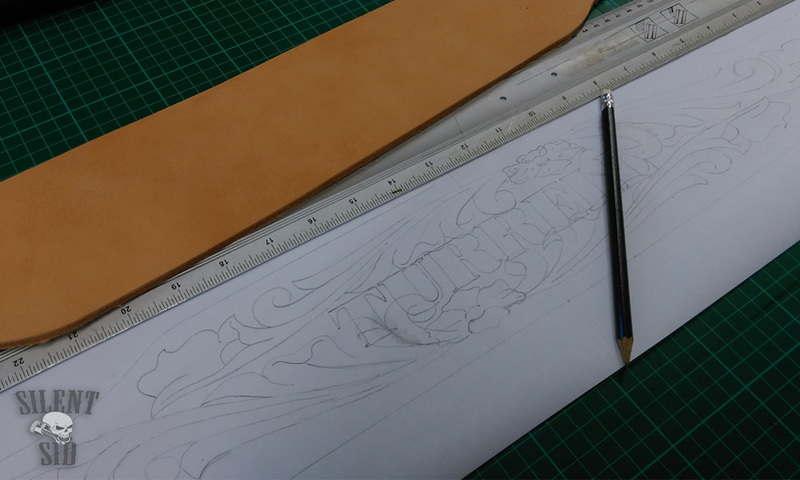 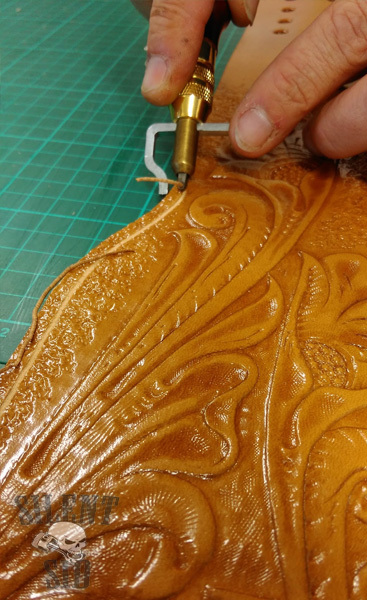 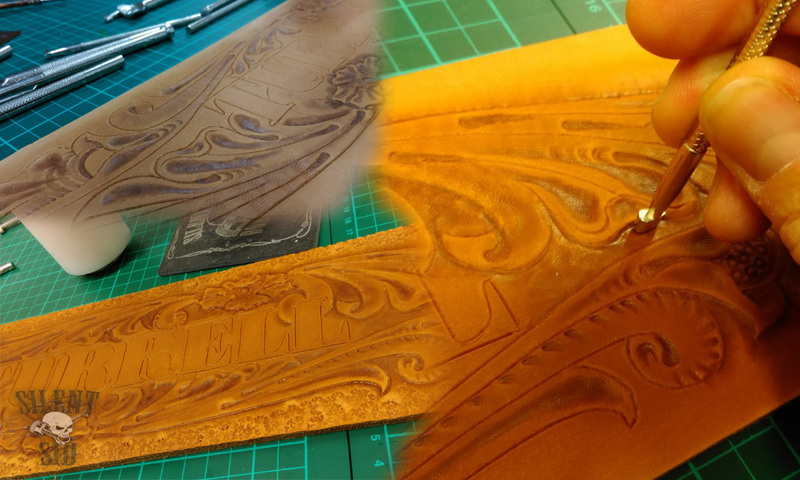 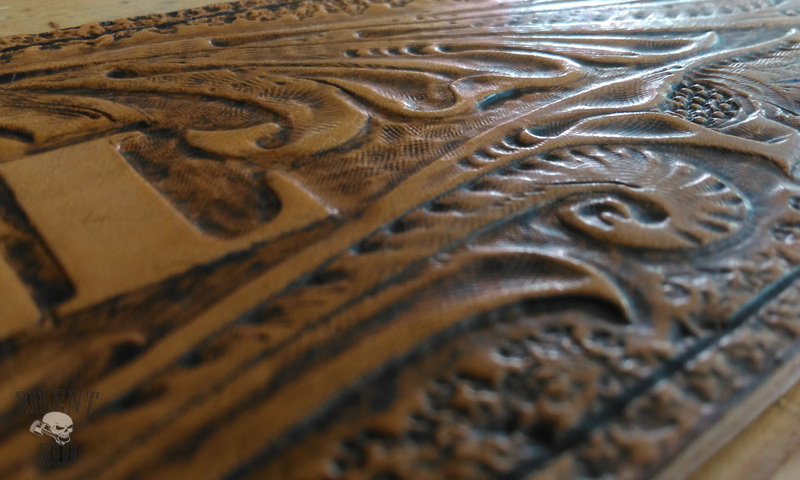 Non of these embossed, ready made things that find there way onto the market and get sold as 'authentic' design leather come anywhere near - these are nothing but VERY poor imitations of what take hours and hours (years and years) worth of practice and skill to be able to complete. 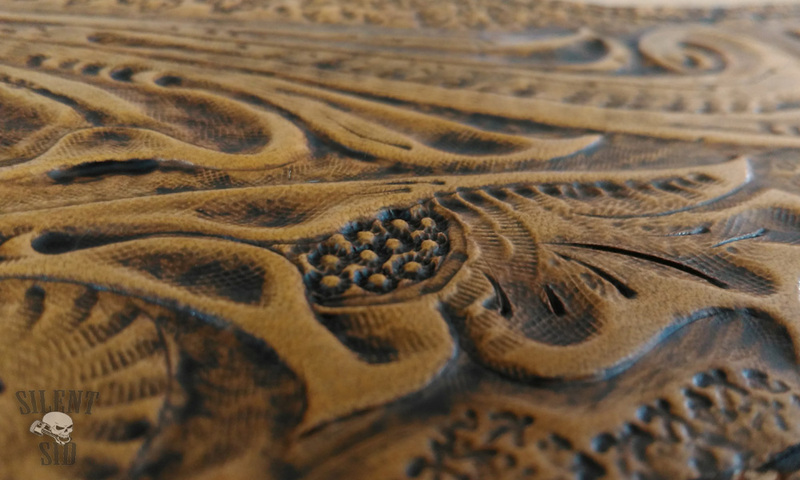 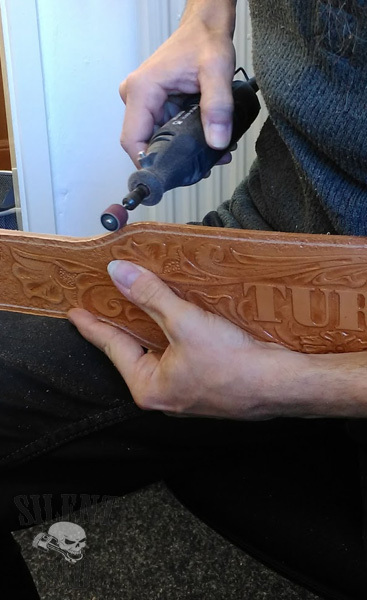 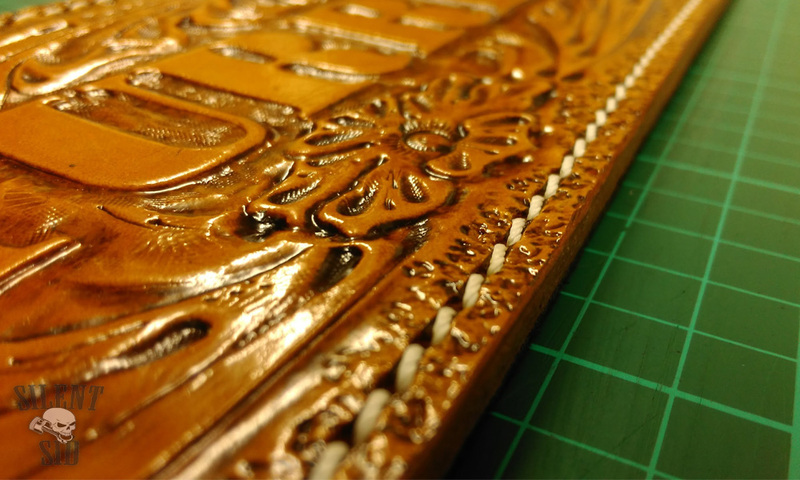 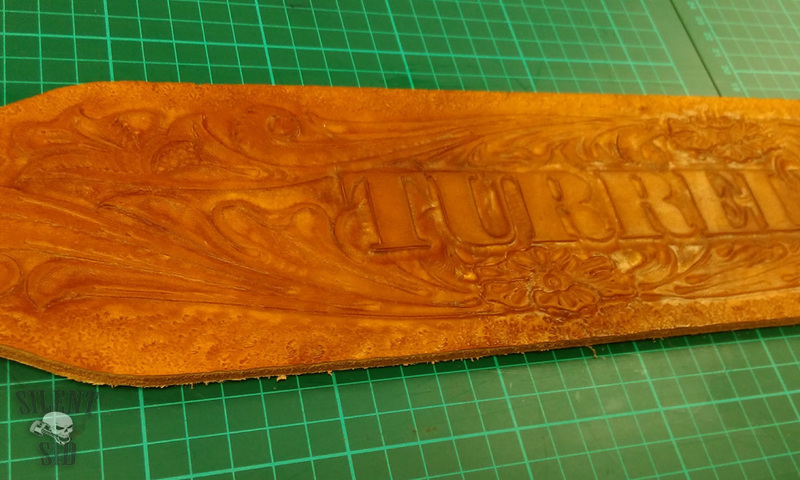 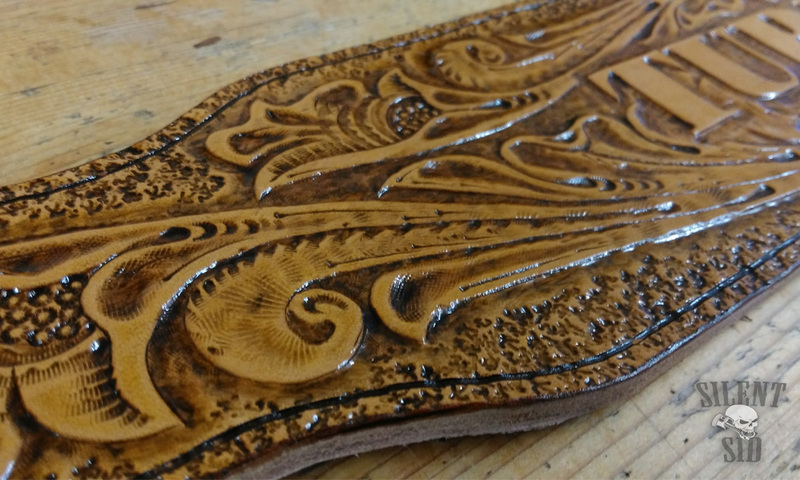 Realy hand carved leather takes time and skill. 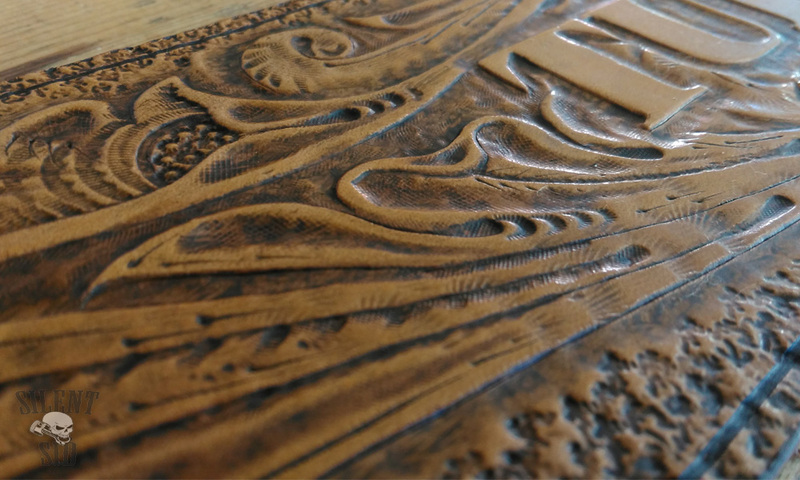 Don't be tempted, people who know will see straight through the nasty, cheap copy stuff. 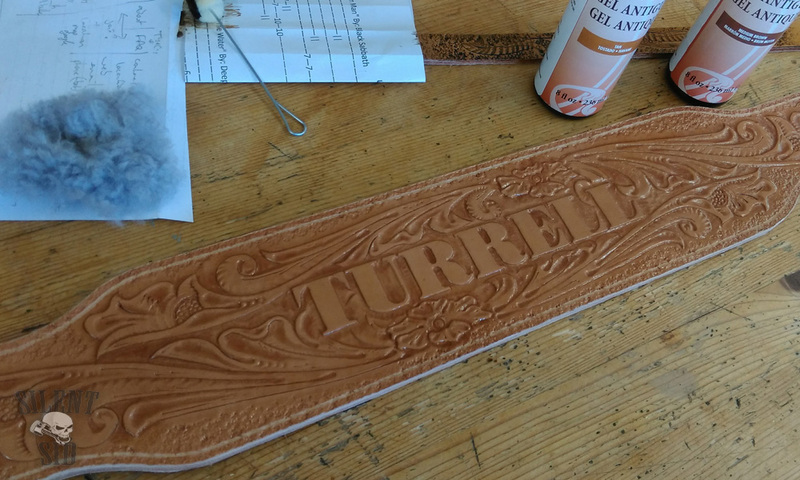 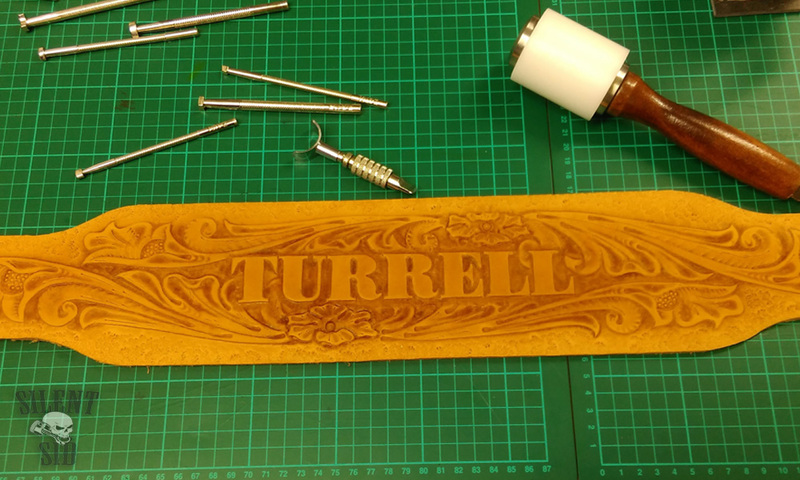 I've put together a selection of photo's from Will Turrell's weight belt who was brave enough to have a Seridan design on his new belt. 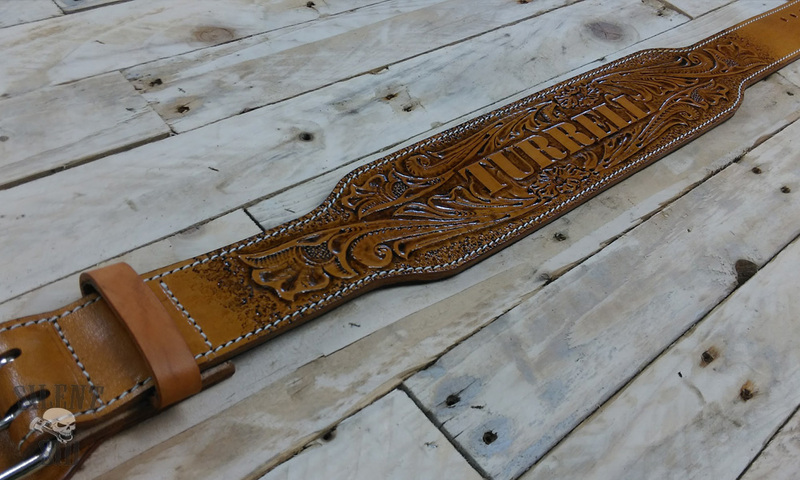 This is the second belt we've done for Will so we already had the spec & sizing from his last one. 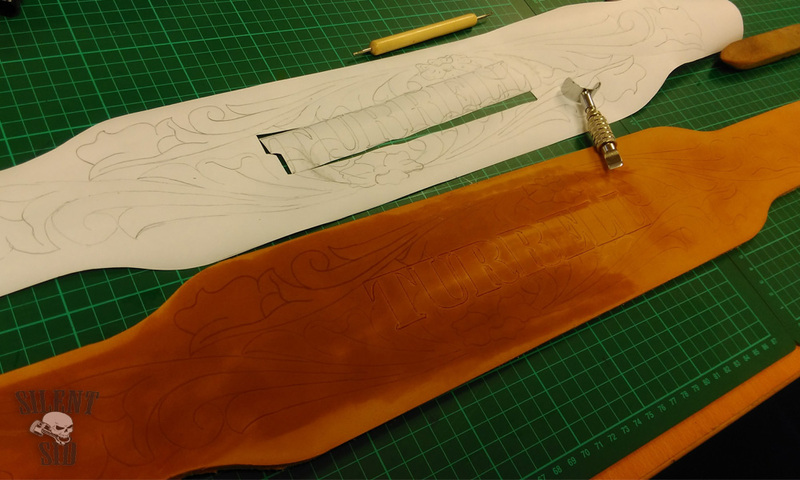 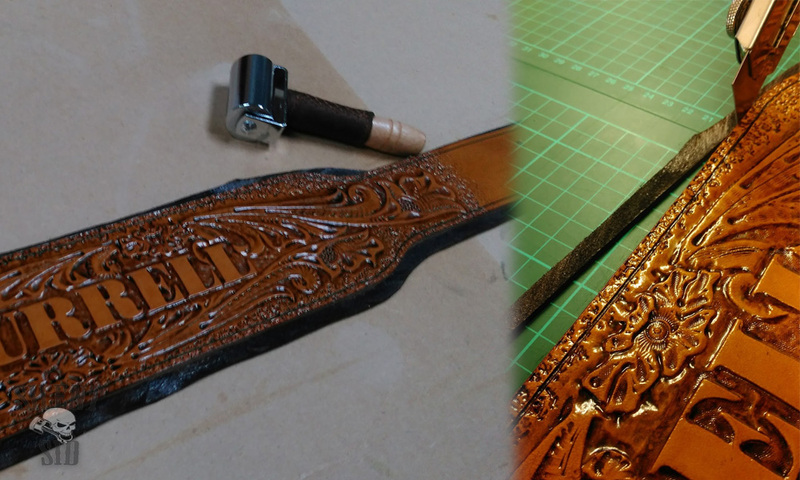 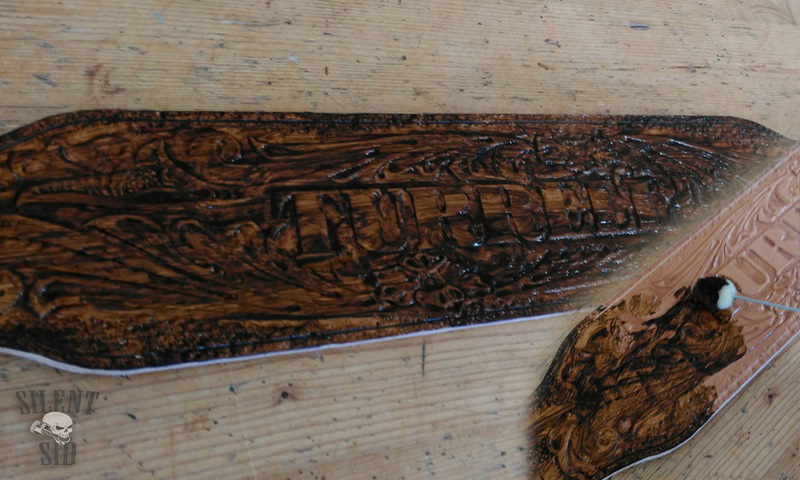 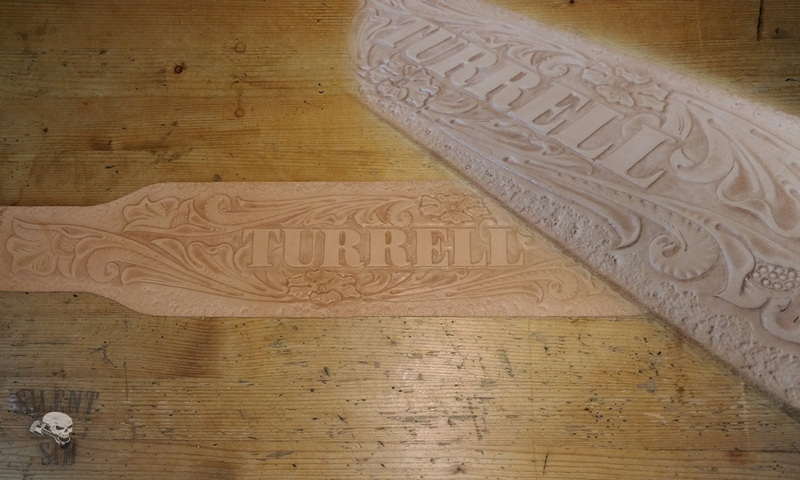 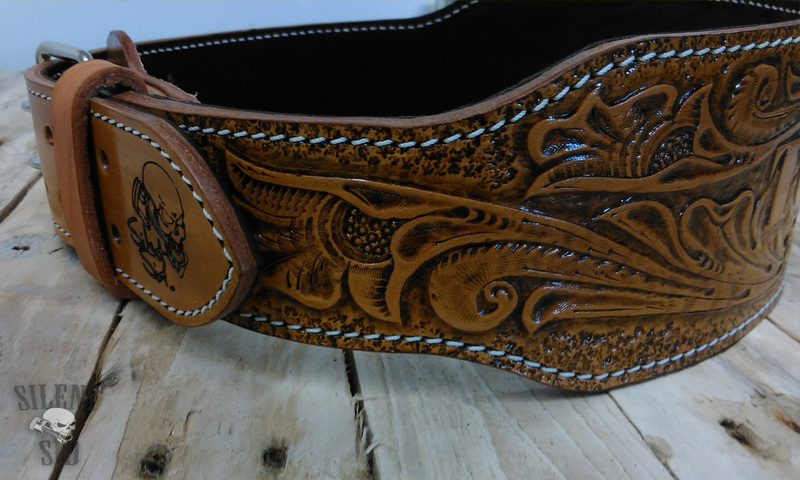 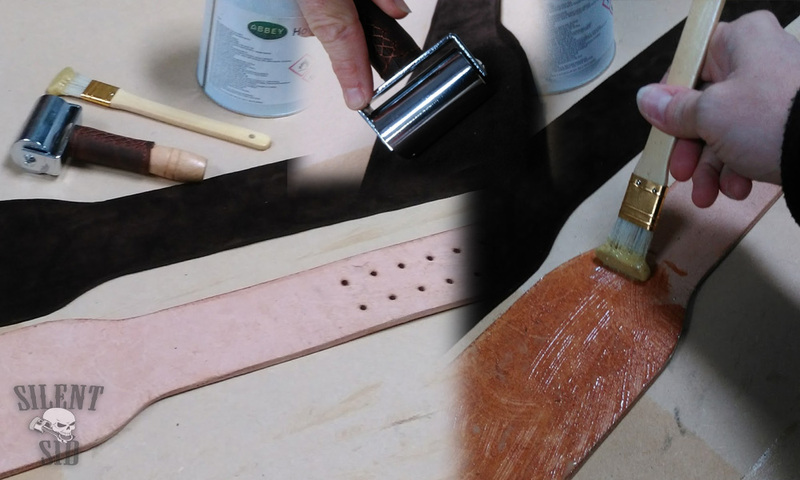 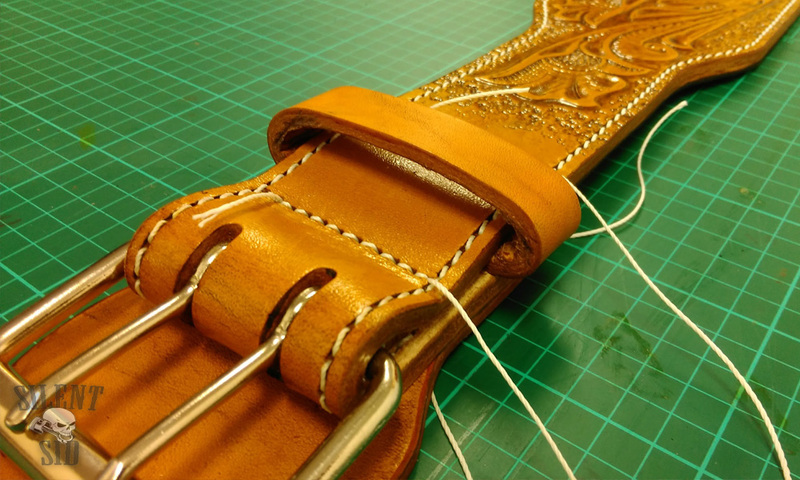 The pics below show some of the steps that were involved in creating this completely bespoke belt. 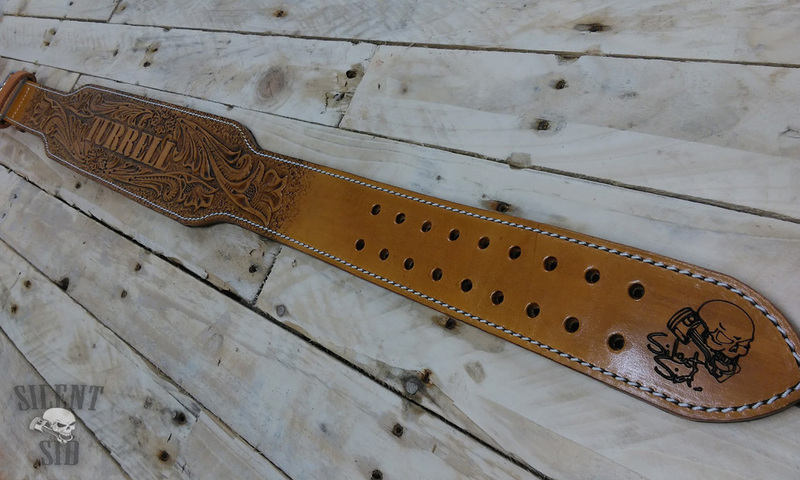 I've done some digging and can't find another one in the whole of Wales so this is a very rare oportunity to show it off to all the people that have asked about it and followed the build of this belt. 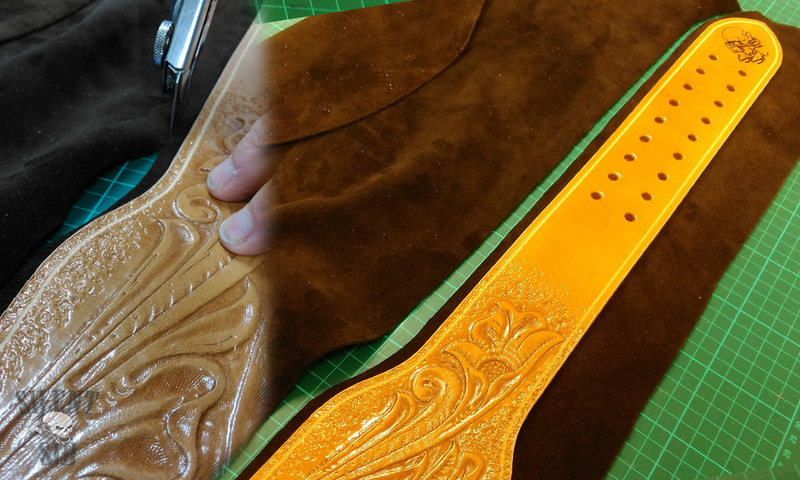 Sheridan Design Weight Lifting Belts start at £250. 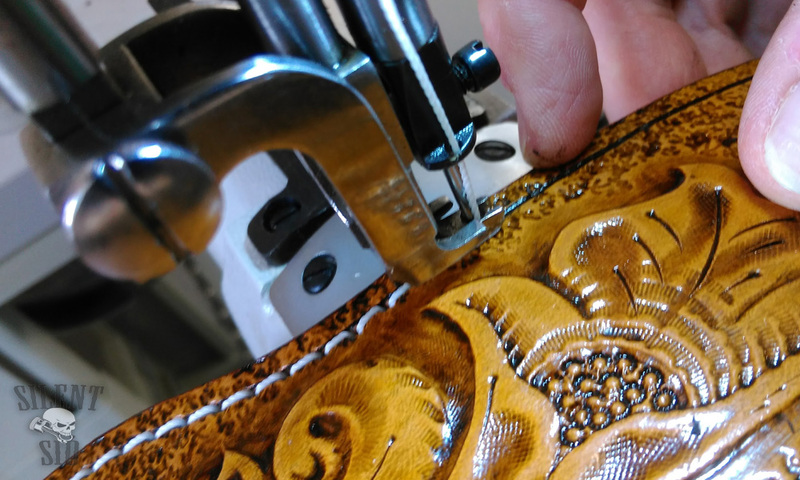 In total, from cutting the belt from the hide to handing over to the customer took about 20hrs of work spread over a few weeks. 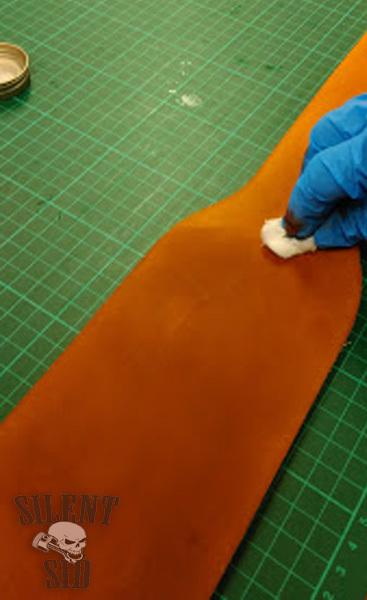 Between each stage, especially when allowing enough time for certain treatments to soak in and settle, we'd need to let the leather 'rest' for at least a full day. 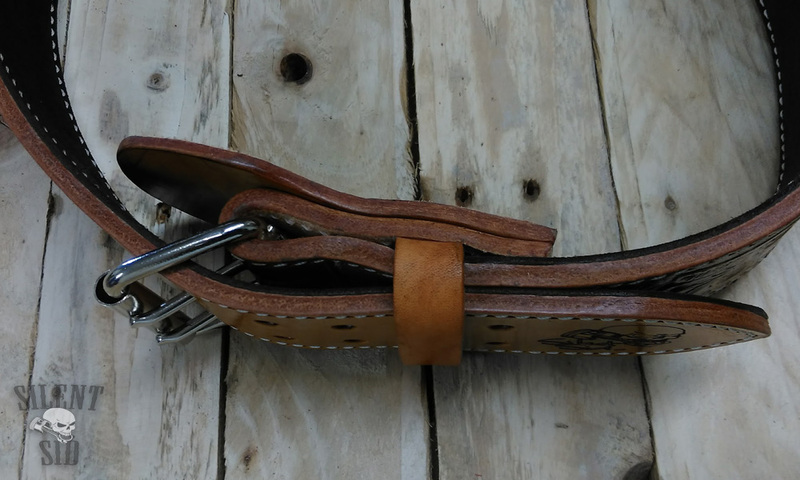 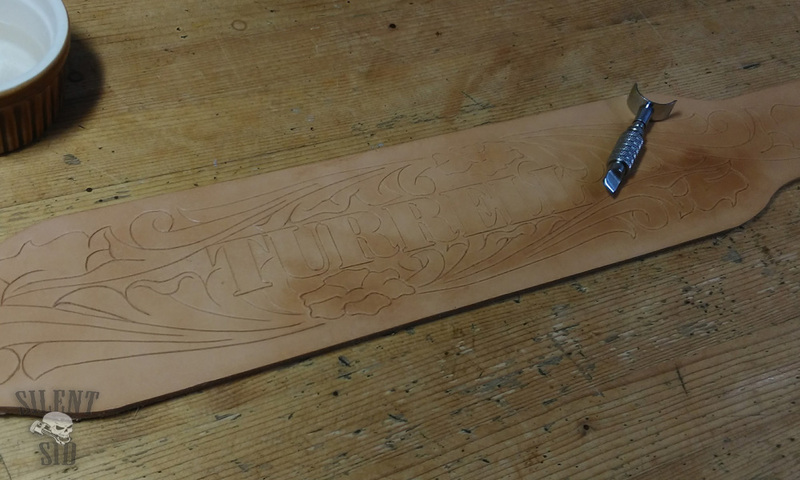 This weight lifting belt was about 1/4" thick (between 6-7mm), so allowing the leather to absorb the oils, etc does take a bit longer than doing, say, a wallet or bag.